The year is 2015. You walk into your bank to make a withdrawal, hold your smartphone to the terminal with one hand, and put the fingers of your other hand on the small green-glowing window. A buzzer sounds and the words “IDENTITY REJECTED” flash onto the screen. A security guard appears from nowhere. You begin the first of many long, frustrating protestations. You are who you say you are, but you can’t prove it. Your identity has been snatched. I am interested in the problems – and dangers – of proving your identity through your biometrics (i.e., retinal scans, fingerprints, etc.) because of a problem that I have. Namely, my fingerprints are unreadable. The ridges are badly broken and my hands lack the oils and moisture necessary for live scan fingerprinting to work. 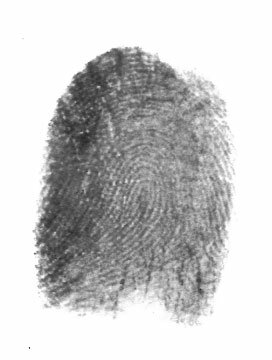 For well over a century, fingerprinting has been the accepted verifiable method of personal identification. 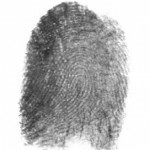 Fingerprints are used for all sorts of things, such as getting a driver’s license, applying for the Transportation Security Administration (TSA) pre-check program, getting a background check, and buying a gun. Having unreadable fingerprints has had its share of annoyances. For instance, as a volunteer for my local sheriff’s office, I had to go through a law enforcement background check, as I did for the other licenses I need to do my job. In every case, I go through the same process. Submit prints, get rejected in 30 days, submit a second set of prints, get rejected in 30 days, and then perform a “no-fingerprint” search. So it takes three months after my initial submission before the background check can proceed. And since I travel frequently, I have a Clear card which gets me to the front of the TSA lines in several airports. Clear uses both live scan fingerprints and a retinal scan. They managed to get a few prints from me, but because they couldn’t pull enough to meet the TSA’s standards, they had to apply to the TSA for a waiver and I select the retinal scan at the airport. Lucky for me, the U.S./Canada Nexus trusted traveler system uses iris scans. Okay, so all of the above are a pain, but I don’t need to go through background checks or apply for a Clear card every day, and the retina scan works to get me through airport security. The reason I am much more concerned about my fingertips today than I was, say, a decade ago, is that with the introduction of Apple pay, fingerprints just moved into the mainstream. Another example is Alaska Airlines using biometrics, or “e-thumb” technology, to allow passengers to access some of its airport lounges. They plan to be the first U.S. carrier to employ biometrics for boarding passes and inflight purchases. I am so screwed if this happens. But maybe so are you – although in a different way. Let me explain. With Apple biometrics technology, your fingerprints are stored in a secure area on your iPhone or iPad and are checked locally. This is called “multi-factor authentication.” Your device is something that you have, and your fingerprints are something that you are. Clear also checks local versions of your prints and retina scan on the smart card that you insert into their reader (you have the card and you are your fingerprints/retinas). That’s good. But other companies, such as Global Entry and Nexus, use a central database to check your biometrics against the set that you initially submitted. That’s bad. If someone steals your phone, you can deactivate it. If your password is compromised, you change it. If someone steals your driver’s license or passport, you get a marked replacement and a note is placed in your file so that law enforcement or customs knows to be suspicious when it is presented to them. But what happens when someone copies your fingerprint or makes a contact lens with a copy of your iris? If someone steals your biometrics, they may be able to prove that they’re you. You’ve probably seen or heard about Hollywood sci-fi movies where eyeballs are plucked out of skulls, fingers are cut off, or even whole hands severed to access biometric systems (sorry for the disgusting imagery). Well, with today’s technology, identity snatchers don’t have to go to these physical extremes (which, thankfully, don’t work anyway). They can simply replace the data about your biometrics with data about their biometrics in the central databases of companies who do not use multi-factor authentication. Presto-change-o, they can now prove that they are you! One way to prevent theft of biometrics would be to not supply them in raw form to anyone, but rather use an encrypted form – what is referred to as “cancellable” biometrics. Off-board hardware processors are used to hash and encrypt the biometric at the point of collection (the capture station), perhaps embedding the time and capture station ID. The keys used for hashing, encryption, and decryption would then be changed on a regular basis and if Public Key Infrastructure (PKI) is being used, the encrypting keys can be destroyed so that a hacker cannot encrypt replacement biometrics without the change being obvious. Scheduled scans of the database could look for clues that biometrics may have been compromised and the records would be flagged for further inspection. If an offline biometric capture station log is available, the hashed place and time in the biometric can be compared to the log and a discrepancy should be apparent. But in my opinion, the best place to store a biometric is in something that I personally control, such as a smartcard or my smart phone. While a central database would validate that the smart card or smart phone belongs to me, it wouldn’t actually have my biometric data stored anywhere. I would be able to file a report if I believed that my information had been compromised in any way; any activity could then be cancelled or suspended until it was investigated. On the other hand, if someone compromises my biometrics in a centralized database, there is little that I can do to prove that I am me and not who my biometrics “prove” that I am. If you like being “you” – and you’d rather not share that distinction with anyone else – the new world of biometrics is definitely worth thinking about. This article was originally published on the Forbes Sungard AS Voice blog. The name Colleen Hufford may not mean anything to you. For whatever reason, this story disappeared from the news pretty quickly – perhaps because it didn’t involve naked celebrities, schoolchildren, or an assault rifle. In case you missed it, a recently suspended worker at a Vaughan Foods processing plant came from behind the 54-year-old Hufford with a large bladed knife that he brought from home, and sliced her head off. But before he could do the same to 43-year-old Traci Johnson, the company’s chief operating officer, Mark Vaughan, shot him, stopping the attack. The September 24, 2014 incident apparently was triggered when the murderer was suspended after Johnson initiated a complaint against him. And this wasn’t the first time the murdered became violent. Police records show that he had a history of violence. He was convicted in January 2011 of multiple felony drug offenses, assault and battery on a police officer and escape from detention. Because of the way that Huffard was murdered, the local police called in the FBI to assist in the investigation. Dawn Perlmutter, director of the Symbol Intelligence Group wrote up an analysis of the actual event and believes that this was not an act of pure workplace violence but is a textbook case of Individual Extremist Religion Inspired Homicide. But the driving force behind the murder and attempted murder is immaterial to my interest in the case. You see, if the company’s COO hadn’t shot the murderer, the killings would have continued. Oklahoma County Sheriff John Whetsel agrees, saying “There is every reason to believe that the lives of untold others were saved who would have been targeted by the suspect if it hadn’t been for Vaughan’s actions” – and this is what interests me. In most instances, shooters have taken their own lives, been shot by police, or surrendered when forced with a confrontation by law enforcement. 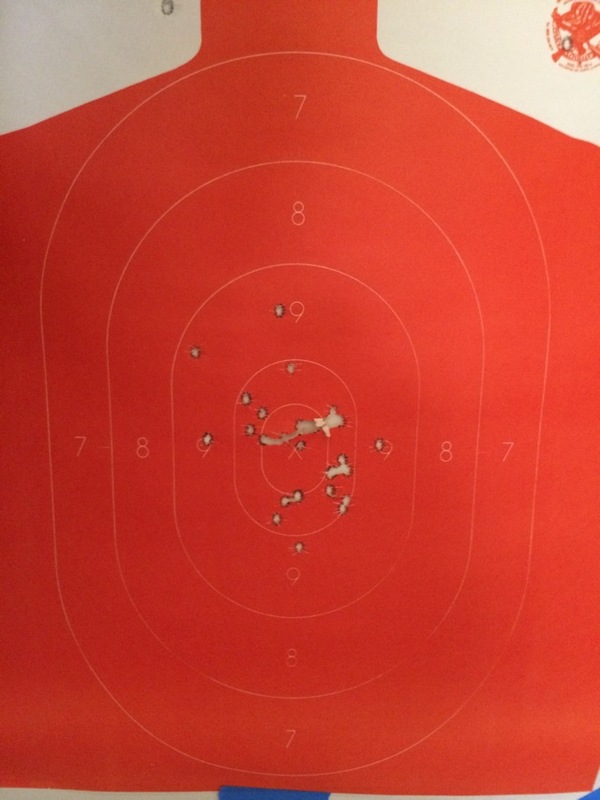 According to New York City Police Department (NYPD) statistics, 46 percent of active shooter incidents are ended by the application of force by police or security, 40 percent end in the shooter’s suicide, 14 percent of the time the shooter surrenders or, in less than 1 percent of cases, the violence ends with the attacker fleeing. In a previous blog entry, I talked about sheepdogs and the mindset and training needed to kill someone who is intent on causing great bodily harm to you, your friends and loved ones, or even your co-workers, before they kill you or someone else. The point is that Mark Vaughan saved Traci Johnson’s life by shooting someone actively trying to kill her. Now it turns out that Mr. Vaughn has been a reserve deputy with the Oklahoma County sheriff’s office since 2010. Deputy Vaughan is a card-carrying sheepdog. And as a law enforcement officer, federal law allows him to carry a gun when off duty. In that same blog, I ask how many active or retired peace officers are working at your organization, but cannot carry a firearm due to company policy? Is there a specific reason for that policy or is it because a sheep in the executive staff is afraid of guns? People like Deputy Vaughan have the mindset and the training to be sheepdogs and you should offer them every opportunity to protect their coworkers by allowing them to carry while at work. But not every sheepdog is a law enforcement officer. Citizens from all walks of life can become a sheepdog with the proper mindset and training, and many states will issue a permit to carry a concealed firearm to any law-abiding citizen that applies and passes the required training. Would your workplace firearms policy have prevented someone like Deputy Vaughan from protecting other employees from a murderer? What about employees who have had extensive firearms training but are not law enforcement officers? Can they protect your sheep against wolves like the one that murdered Colleen Hufford? With the increased fighting against ISIS and the knowledge that the White House-targeted Khorasan cell was plotting an “imminent” attack against the United States or Europe, wouldn’t this be a good time to ensure that you have enough trained sheepdogs guarding your flock? It’s late at night, you’re in a hotel, and the fire alarm goes off. What do you do? For around 1,500 people staying at Sheraton hotels in Downtown Philadelphia and the Philadelphia airport on July 22, this was not a rhetorical question. I’m going to separate the two incidents since I can only talk about one of them from first hand experience. Now don’t get me wrong – I’m very loyal to the Starwood chain and these events could have happened at any hotel. The fire department was called to the Sheraton in downtown Philadelphia at about 4 am because of a report of a light haze of smoke in the hotel’s basement. Fire officials reported that the cause of the smoke was an electrical panel that controls the HVAC system in the basement and declared the situation under control around 6:45 am. Fans were set up on each floor to push the smoke into the fire tower and clear the building and hotel guests were let back into their rooms at about 12:30pm after the smoke had dissipated. Several miles out of town at the Airport Sheraton Suites, where I was staying, the fire alarm went off at around 9:30 PM. I turned on the bedside light, got dressed, and opened the door to see dozens of people standing around the landings in front of their rooms. I headed to the stairs and walked down eight floors to the lobby along with two other people. When I got to the front desk, I noted that one employee was on the phone, two other employees were standing around, and only I and the other two people whom I met in the stairwell were headed outside. I stopped at the front desk to ask what was up and the woman on the phone told me that it was a false alarm. I asked why they didn’t announce that it was a false alarm and and she told me that she was on the phone to get help with the system but that security was walking the floors to let everyone know that they could go back to bed. I returned to my room using the elevator, tweeted the situation to the Starwood hotels social media team, then went back to bed. Thirty minutes later the front desk called to tell me that they got a call from the social media team stating that I was concerned about the situation. She told me that they had everything under control. It was ironic to me that the guests at the downtown Sheraton were there for the 69th Biennial National Association of Letter Carriers conference (Neither snow nor rain nor heat nor gloom of night…). While they were kept from their rooms for 8 hours with only whatever they carried out when the alarm sounded, they also were offered shelter at the nearby Pennsylvania Convention Center. I locate the two nearest exits to my hotel room (I also do the same on an airplane). I lay out my next day’s pants, shirt, and jacket. I always carry a small flashlight and whistle in my pocket and before retiring I take them out and place them on the nightstand next to my watch, glasses, wedding band, and charging phone. Because the silent vibration mode wakes me up, I sandwich my phone between a clean pair of socks and underwear. If I need to bail for any reason, I am set to go with light, clothes, phone, and medication. What is your plan? And seriously, would you lay in bed hoping it was a false alarm, open the door and stand on in the hallway, your get yourself out of the building and not risk the chance that it is for real? Please let me know in the comments. Would Encryption Have Prevented The Target Hack? Last week I said that I would go deeper into the forms of encryption that can be used to protect your information and I stated that, “the most common encryption method in use today for data at rest won’t do anything to protect your company from a system hack.” But let me back up for a moment. The Cliffs Notes version of that article is that data can be encrypted at the container level (disk, communications link), hardware block level, file level, record level, or field level using the same or different keys and the encryption can be performed in hardware or software. If done in software, the encryption engine can be built into the disk driver, operating system, database, application, or an encryption library. The most common type of encryption is at the volume level and can be done in software (Microsoft Bitlocker, Symantec Drive Encryption, etc.) 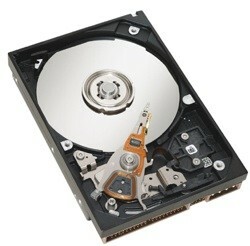 or hardware (self-encrypting disk drives). The answer to the question asked in the title of my HP Connect Magazine article is no – volume level encryption won’t keep your information safe unless the system or disks are powered off. So even if Target encrypted their data, it wouldn’t have done anything to stop the theft of 40 million customer credit and debit card accounts from their systems if they used full disk encryption. While I said that the amount of protection afforded an object should be proportional to its value, I glossed over the fact that you also need to determine the lifetime of your information. That is, when does it stop being valuable? Are you protecting product launch dates or battle plans (a few months), credit card numbers and PINs (3 years), product design documents (from months to years), or government and trade secrets (generations to forever)? You need to encrypt for the life of your data. That means choosing an encryption algorithm and key length that can stand up for the lifetime of the data. Credit cards and PINs have a lifetime of about 3 years. Target says hackers took encrypted PIN data but can’t crack it because it’s secured with Triple DES. But Target is not saying how many keys or what key length was used, and that is important according to NIST. Two-key Triple DES encryption was only acceptable through 2010, it is in restricted use from 2011 through 2015, and it is disallowed after 2015. So the PINs may be at risk depending on the keys and the computing resources of the hackers. In my Fall World DRJ session on the intersection of cyber security and business continuity, I said that All of your information should be laid out on a grid, with its value to the company on one axis and its lifetime on the other. Information that is low in value with a short lifetime falls at the left bottom, while information that is key to your organization’s existence with a very long lifetime appears in the upper right and corner. The Coca Cola formula probably would go there. 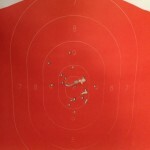 Is There a Target On My Back? Anyone who hasn’t been hibernating since Thanksgiving already knows that critical information from 40 million credit and debit cards used in Target stores from November 27 to December 15 was exfiltrated from their computer systems. The stolen information includes customer names, credit or debit card numbers, expiration dates, and card security codes. Additionally, debit card PINs (the digits that you enter on the keypad when you use a debit card) were also lifted, but Target says that the PINs were encrypted and the encryption key was stored at a different company. This story begs a number of questions both from an organizational point of view as well as a consumer point of view. First off, Target said it began investigating the incident as soon as they learned of it through a leading third-party forensics firm. Now how could Target not know that its own systems were hacked? You might be surprised to find out that every year, the FBI or other security organizations notify hundreds of companies when they learned there was an intrusion into the companies’ networks. Often, these companies didn’t even know they were under attack until there was a knock on their door. And while still other companies may have known there was something wrong, they didn’t know what to do about it or who to call. As CEO, you can’t pass the buck to your IT department and say, “You handle this…I can’t be bothered.” A serious hack can materially affect the status and future of your company. And in fact, plaintiffs in California are working to bring a class action lawsuit while local media reported that another lawsuit was filed in a Rhode Island federal court. Whether the hacked cards get used or not, this is a PR nightmare for Target and could very well lead to lower sales as customers seek safer harbors for their shopping trips. But unfortunately there are no safe harbors in today’s world. You see, hackers have infinite time to find a single hole to let them in while the targets of their evil deeds have to try to defend thousands of known and unknown attack vectors. If your credit card company offers it, use a smartphone app that notifies you every time your card is used. Regularly check your paper or online statement. Sometimes hackers ping an account for only few cents to verify they have an active account. If anything looks amiss, don’t be afraid to contact your credit card company to let them know. My mom is absolutely convinced that she will be safer if she doesn’t use her credit card online and shreds anything with her name and address on it. But as we saw this month, you can still be at risk even if your credit card never leaves your hand. This hack didn’t even touch Target.com shoppers. As a CEO, what can you do to keep off of the front page for the wrong reasons? Read more about this on my Forbes.com blog post. Next week I’ll go deeper into the forms of encryption that can be used to protect data at rest, data in motion, and data in use. You might be surprised to find out that the most common encryption method in use today to protect data at rest doesn’t actually protect anything as long as your systems are up and running. Only 40% of IT organizations have tested their disaster recovery plans in the last 12 months, according to the 2013 InformationWeek State of Storage Survey. Working at SunGard Availability Services, I see this lack of preparation first hand every day. SunGard offers Mobile MetroCenters® that bring custom-designed, fully equipped office space to customers to support their business continuity plan in the event of an emergency. During roadshows of the Mobile MetroCenter, customers are constantly coming up to me and telling me that they’ve had this service under contract for years, but have never actually been inside one before. And they’ve certainly never tested the Mobile MetroCenter in conjunction with their overall Business Continuity Plan (BCP). Now testing disaster recovery plans is essential. You can’t just leave your recovery to chance or you’ll take a tremendous risk that your plan won’t work properly when you need it. The trouble is, doing a full “live fire” exercise of your recovery plan is time consuming and expensive. Such a test involves sending your people to a backup site; bringing up the computers; moving tapes from storage to the backup site—not to mention paying the high costs of transportation, housing, meals, test fees and so on. Which means that you want to ensure that your processes and procedures are complete before your schedule one. Here’s where we get to Black Friday, as I hinted at in the title of this post. The way you plan for a Black Friday shopping expedition is a perfect example of how you would run one or more so-called “tabletop exercises” before you run a live fire exercise. Well, for many families, Black Friday is the center of their Thanksgiving tradition. Once they’ve gobbled up the turkey and cleared the dishes, the family members gather round the table to build their Black Friday battle plan. They set shopping objectives; search for coupons; create a step-by-step timeline; specify family staging, transportation, and gathering locations; and finally set up a tactical communications plan to relay deals that can’t be missed. They may even develop code words so as not to tip off other shoppers as they discuss a particularly good sale. 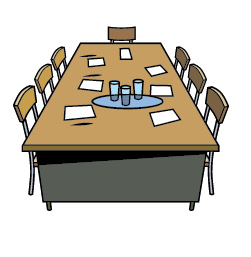 A tabletop exercise of your BCP is similar to this Black Friday planning session. You gather around a table and walk though your BCP step-by-step. The purpose is to ensure that you’ve included everything you’ll need to recover your critical business processes when disaster strikes and get your employees back to work. These steps include setting the exercise objectives; ensuring that you have the proper inputs and documentation; creating a step-by-step recovery timeline with employee staging, transportation, and gathering locations; and finally setting up a tactical communications plan to ensure that you can notify your vendors, employees, and stakeholders when disaster strikes. You may even develop a set of “pre-populated” messages as part of your crisis communications plan. Tabletop exercises don’t cost a lot of money or take a lot of time. But they do help reduce expenses for your live fire exercises by letting you carefully hone your recovery processes before you actually test them out. You can talk through what you need to do. And if you find that you’re missing something, you can include that in your next tabletop go round. Once you’re satisfied that your tabletop exercises have caught all the holes in your planning, you can move to a real “live fire” exercise with a BCP that’s far more likely to succeed. One final takeaway. When you go on your Black Friday expedition, you may have to leave one or more family members home because they’ve had too much to eat or drink or are in bed with the flu. Similarly, don’t let all your employees participate in the tabletop. If you know that you have a key employee that holds your BCP together, give them a vacation day and see if your company can still run the tabletop without them – after all, you need to know what would happen without that one key person should disaster strike. This was first published on the SunGard AS blog. In the past, we called them active shooters. but police and sheepdogs also can be active shooters when they going after a bad guy who is actively slaughtering your children in a school setting (or as we saw in Kenya, in an upscale shopping center). So Lt. Col. Dave Grossman has taken to using the term Mass Slaughterer for these cold-blooded killers. I am a big supporter of Col. Grossman and his theories about why we seem to be in an era of mass bloodletting. But even if you don’t believe him, he also has dozens of pearls of wisdom for how to make your schools safer for your children and their teachers. I covered one of my own recommendations, the Crisis Response Box) in this post. Here are some additional recommendations from the Colonel for making schools safer (that frankly might help make all workplaces safer…) Remember that adrenaline is pumping in these events and people lose their fine motor skills, memory, and most of their ability to think. This means that all of the labeling that I list below should be in easy to spot huge characters. Make it harder to get into your school or organization. Keep doors locked, use glazing that is hard or impossible to break, and keep a watchful eye on the grounds for people that just shouldn’t be there. Assign a unique label to each exit. Keep it simple – single letters or numbers work best – and ensure these labels are on the inside and outside walls ned to the doors and on all maps. Make sure the labels won’t be blocked when the door is open. This makes it easier to relay instructions. Hint: If the label is on the door, it probably won’t be visible from at least one side if the door is open. Even if you put the label on the door, also put it on the wall. Assign unique room numbers and ensure that rooms are labelled inside the door, outside the door, and outside the building on an exterior wall. I might be in the same room my whole career but when it hits the fan, my memory could go blank. Paint outlines of classroom walls on the exterior of the building and on the roof. 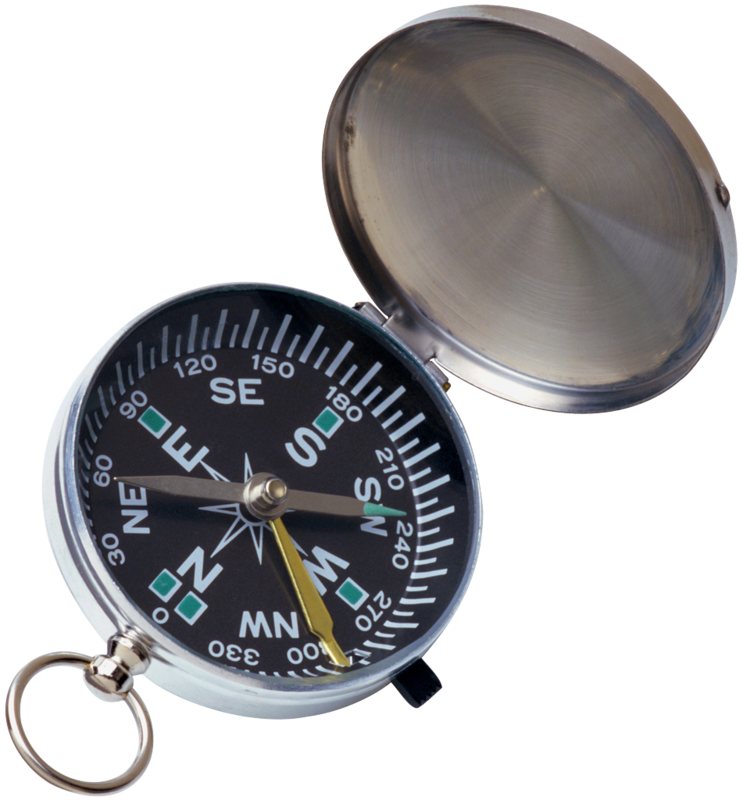 If first responders need to get into a specific room from the roof or outside of the building, this will help them locate it. What hints do you have to assist first responders? Please add them to the comments. My title comes, of course, from the Rock Opera “Tommy” by The Who. But this blog is really about companies that are invading my personal space with their overblown “Hear me, Smell me” campaigns. Maybe you haven’t noticed, or maybe you have, but it seems like every store, hotel, or restaurant that I walk into these days has “background music” playing much too loud, as if it was the main event. Studies have shown that people eat faster when listening to louder, faster music, allowing restaurants to turn their tables faster and increase their profit. As for retailers, Paco Underhill, a shopping anthropologist, says that retailers are increasingly relying on music (plus lighting and scents) to make shopping more sensory, or “experiential” as industry experts like to say. The use of background music in the foreground causes me to tune out everything because my constantly ringing ears don’t seem to support the cocktail party effect, possibly caused by some too-energetic pyrotechnics use during high school and college. Some stores like Abercrombie & Fitch and its offshoot, Hollister, use music as a weapon, so that their target customers can buy their wares without their pesky parents seeing the latest fashions that turn their kids into teenaged pimps and whores. On top of the music, their clothes are even sprayed with an intoxicating scent that lingers long after you have left the store. Which brings me to my next topic – scent marketing. If the music’s too loud, I can pop in a pair of custom-fitted earplugs – which I now carry with me most of the time. But what can I do for the foul stench that is euphemistically called a, “Signature Fragrance?” Wear a gas mask? I travel frequently and am a platinum preferred guest with Starwood Hotels, one of my favorite brands. After going back and forth with their corporate office, I now know that I can ask them to turn off the scent machines when I am a guest at one of their properties. That’s better than the handful of Las Vegas properties that I cannot even set foot into without having to gasp for air while grasping for my inhaler. I don’t see why I, as a guest, should have to deal with a scent-induced asthma attack when walking into a shopping center or staying in a hotel. Maybe I can shop elsewhere if I don’t want something from my favorite stores, and I guess I can stay elsewhere too (but I really like Westin hotels!). It’s a free country. If a business wants to play loud music and stink up the place, that’s their prerogative. But honestly, I wish my favorite brands wouldn’t try to drive me away. What are your opinions on the presence of loud music and scents in restaurants, retailers, and hotels that you frequent? Along with Westin, Marriott hotels are some of my favorites. But an incident last night, followed by my conversation with management this morning dropped my opinion down a notch. At 1:36 AM last night, I awoke to someone breaking into my room at the Cambridge Marriott hotel, outside of Boston. I heard the door slam open against the “visitor latch” that lets you open the door a bit to see who is outside. I jumped out of bed with my heart pounding, pulled on my pants and dialed 0 to have them send security to my room. Less than 2 minutes later, the front desk called me back to tell me that my mother had asked the front desk to deliver a rollaway bed to the room. Since I was traveling alone, I was surprised at this and the clerk apologized about the incident. Additionally, I now know that the housekeeping keycards bypass the “extra security” knob that occupants turn when they are in the room. In my mind, bypassing the “someone is in the room” lock should only be allowed by hotel security. If I didn’t have the visitor latch closed, I would have had one very surprised housekeeper in my room in the middle of the night. Fast forward through a sleepless night full of adrenaline rushes, and in the morning as I was checking out, I asked the clerk (who I had talked to in the middle of the night) if I could talk to a shift supervisor. She told me the woman standing next to her was the supervisor, so I told her the story about someone breaking into my room overnight. The clerk explained that it was housekeeping and it was a mistake. I then related my security concerns to the supervisor and asked to be comped for a night for the fright that it gave me. Was the the woman requesting the bed asked for ID? Did they ask whose name was on the room registration and verify it? Why didn’t they call the room to confirm, or at least have housekeeping knock on the door before using their keycard to enter the room? Why do housekeeping keycards bypass the “someone is in the room” lock? The clerk didn’t say anything and the supervisor told me that I would have to talk to the head of security about the lapses and only the front desk manager could authorize free nights, but neither were in. I gave her my card and she promised to pass it on to them with my concerns. Justin, the Senior Operations Room Manager (an update to the Front Office Manager title), reached out to me after he and the hotel security manager completed a thorough debrief of the employees involved and an analysis of my room lock and keycard access controls. He apologized profusely and offered compensation to me for the event. While he could not tell me exactly what went wrong, he did say that security confirmed that housekeeping keycards cannot bypass the “someone is in the room” lock (you can draw your own conclusions about how housekeeping managed to open the door). He also told me that there are always opportunities for retraining and this was one of them. The camper is now happy again. In memory of “Storm Chasers” stars Tim Samaras, 55, his 24-year-old son, Paul, and 45-year-old colleague Carl Young. Sometimes it seems like the world is against you. It certainly seemed that way to the citizens of Moore, Oklahoma, where an EF-5 (the worst there is) touched down about a week ago. 70 children were injured and nine were killed, many of them who were attending Briarwood Elementary School or Plaza Towers Elementary School. It seems like a miracle that all of the students at Briarwood survived, but it was because of construction and not luck – we’ll get back to this after our commercial break. Friends, have you ever tried to outrun a tornado? Now back to the schools. At Briarwood, each grade is organized into four pods with a few classrooms in each pod. An opening to the outside runs through the center of the pods which can be used for escape. Plaza Towers is of traditional construction, where all of the classrooms are in a long line under one roof. When the school collapsed, the roof and walls fell on top of each other, leaving no escape path. And while both schools had practiced tornado drills, neither had a safe room, which could have potentially saved lives. Have you looked into the construction of your children’s schools and gotten involved to ensure that your school board has the proper plans, procedures, and supplies in place to protect them when disaster strikes? While we are on the subject, what about your home? If you live in an area with extreme weather conditions, do you have a safe room (this would include a properly designed and equipped storm cellar) and have you completed a disaster recovery planning checklist? The Red Cross suggests that everyone get a kit, make a plan, and stay informed. Living in northern California puts me in earthquake central, and unlike hurricanes, tornadoes, or severe weather, we don’t get any advanced warning. I work for SunGard Availability Services and our Crisis Management Team monitors severe weather that could affect us and our customers. As you can imagine, we have our own checklist that we go through whenever we see something barreling down on us our our customers. While it might be more suited to a company, it could also be a good start to building your own disaster recovery planning checklist. That blog entry is here. So that’s about it for this post, but I’ll say it once again; Get a kit, make a plan, and stay informed. And above all, ensure that your friends and family do the same.